Dogs are well known for having an unbelievably accurate sense of smell. Part of the reason for this is the huge number of scent receptors that canines have, which is estimated to be around 220 million, compared to our meagre 5 million. The extreme sensitivity of their nose makes dogs uniquely perceptive to scents that are simply impossible for us to determine, and they can even determine changes in smell that are so subtle that they occur in parts per trillion! This is basically the equivalent of one drop of blood in 20 Olympic-sized swimming pools! When you consider this information, it is no so surprising that’s our canine pals are routinely trained to undertake tasks that no human nose could perform, such as sniffing out drugs, people and even explosives. However, they also have another highly important skill. Dogs can identify tiny changes in the human body, and this enables them to be able to sense health problems before we are even aware of them. Here are some of the medical conditions that dogs have been shown to be able to sense. Many stories exist about the ability of dogs to detect cancer. During the last few decades, research conducted by experts have shown that dogs have been successfully trained to detect the presence of cancerous cells, and in one study in 2006, the trained canines were able to detect lung cancer with an astonishing 99% accuracy. Types of cancer that dogs have been shown to detect include skin cancer, breast cancer, lung cancer and liver cancer. Narcolepsy is a neurological condition that affects a person’s ability to control sleep-wake cycles. Unfortunately for the patient, this means that they may fall asleep suddenly, even while in the middle of a task or while doing something potentially dangerous such as driving or operating machinery. Studies have shown that dogs are able to detect subtle changes in scent around a patient when an attack of narcolepsy is coming on and can give them a warning that enables them to get to a safe space. As such, an increasing number of dogs are now being trained as service animals to perform a number of functions for narcoleptic patients including standing over a person’s lap to prevent them from falling or stand over them to protect them. Equally, they are also trained to get help. Diabetes is a very serious and potentially life-threatening condition. However, dogs are able to detect scent changes in a patient’s breath that may indicate that their blood sugar level is either spiking or dropping. This enables the patient to take the appropriate action to regulate their blood sugar levels before they collapse and go into a diabetic coma. Again, service dogs are now being issued to patient suffering from diabetes, and studies show that diabetics who have a service dog to alert them of dangerous fluctuation in their blood sugar levels enjoy better control over their condition. You might have heard of service animals being used to detect seizures. There are normally two types of dog that can support an epileptic patient. One type can recognize an imminent seizure and warn the patient so that they can get to a safe space so that they do not hurt themselves or others around them. The other is a seizure response dog which is trained to help patients during and immediately after a seizure. Migraines are far more serious than a regular headache, and those people who suffer from migraines may succumb to pain and other debilitating symptoms for hours or even days. However, some studies have shown that dogs may be able to sniff out a potential migraine before it becomes a serious problem. This is because they are believed to be able to detect changes in serotonin levels, a chemical that goes into overdrive when a migraine is imminent. 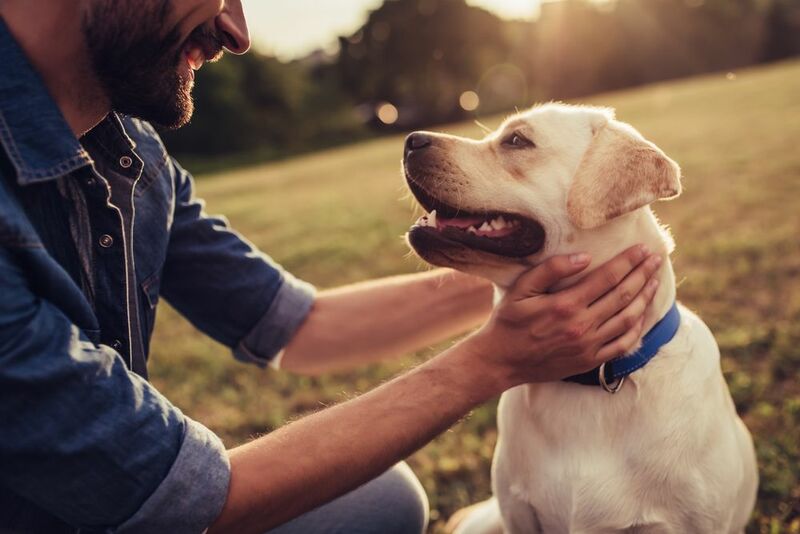 In detecting a migraine early, a dog might be able to warn his owner to take preventative medication and any other steps known to help prevent a migraine attack. Contact us at Bayview Pet Medical & Dental Center today for more information.